Face masks. A nice treat, a pampering session or a weekly ritual - these things are great at making us feel fabulous again. Getting your skin feeling fresh and rejuvenated in just a matter of minutes - who wouldn't want to use them?! 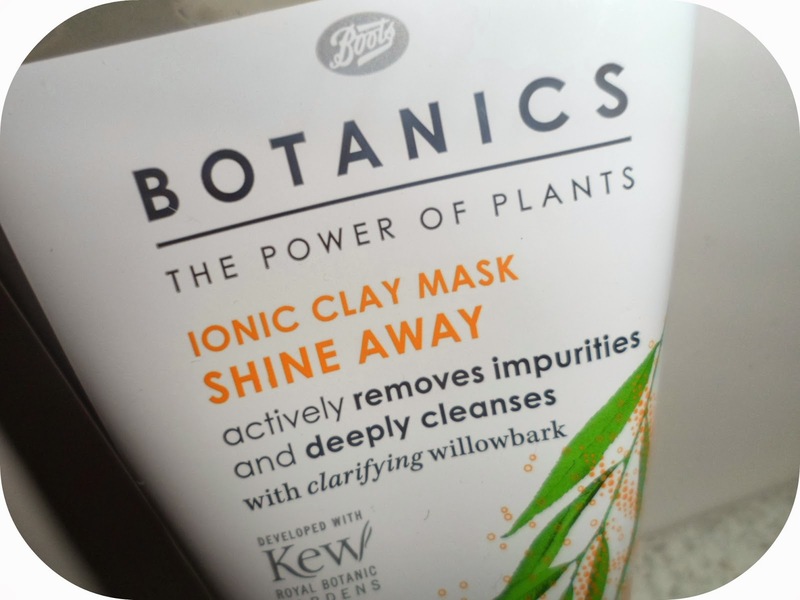 I love trying out new masks so I thought I'd pick up this one from Botanics when I spotted it the other day and give it a go! 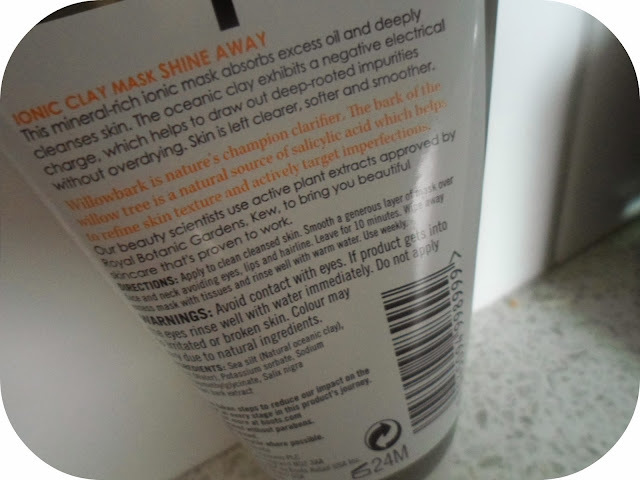 This is the Ionic Clay Mask from the Shine Away range. Botanics is actually a brand I've never used before. I've always looked at their products but this has been my first purchase from them - and I love it! After reading the back and some of the information I was intrigued by the way in which this mask works. As you can read below the oceanic clay used in the mask exhibits a negative electrical charge which helps draw out deep-rooted impurities..... sounds a bit crazy huh? I decided to try this out on my day off - I woke up and cleansed my face (like it says) and then got down to business. I squeezed out a healthy amount and started to apply it to all over my face, avoiding the obvious areas. Once I was done I sat down and relaxed for the 10 minutes it says to leave it. After leaving for 10 minutes the mask was set and had gone from a dark grey/black colour to a light grey hard substance, the kind which is so tight it makes you unable to move your face and always wants to make me laugh! I wiped off some of the excess mask and then washed my face with warm water and the mask came off with ease. After splashing my face with some cold water after removal my face felt so soft and smooth - I love fresh feeling skin - it makes me happy. 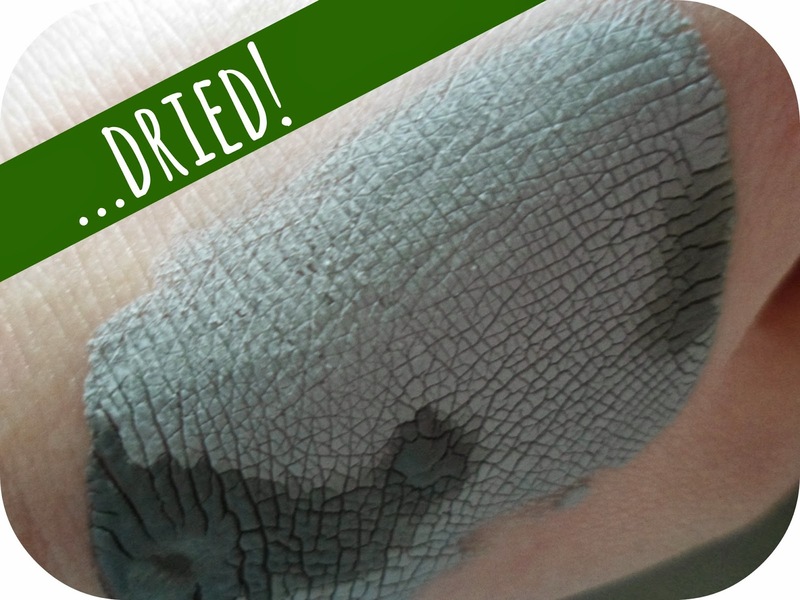 The only problem was that my face was a little red and patchy after using this mask, I was worried I was having a reaction but thankfully it didn't last long and was gone within the hour! So next week when I use this I think I will use it in the evening (problem the time in which are you suppose to use a face mask!) then I can go to sleep and wake up looking totes fabulous! 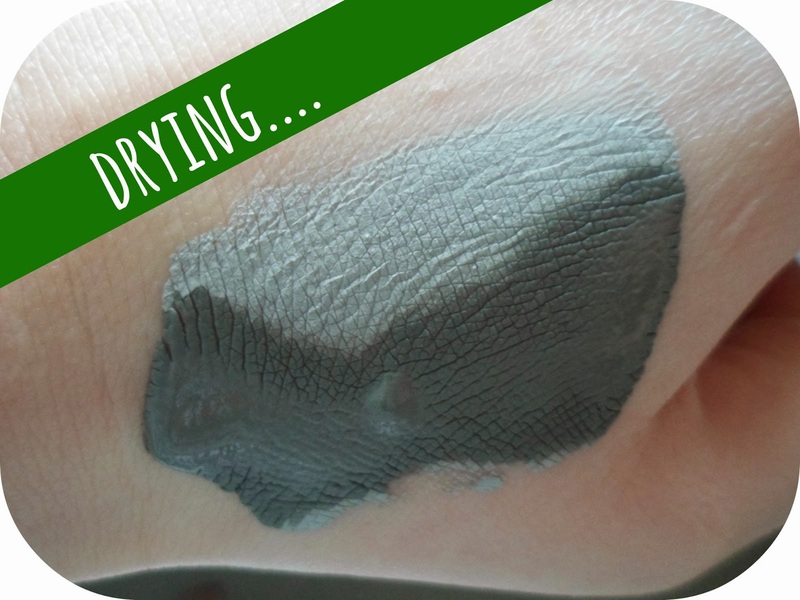 Since using this clay mask my face has felt softer, smoother and alot more hydrated. This mask was on offer when I bought it at only £4.99 - normal price is £6.99! This is going to fit into my skincare routine with ease - 10 minutes once a week? Easy! Oh and because I know you all want to see it on..... here you go. I might just have to get my hands on this! 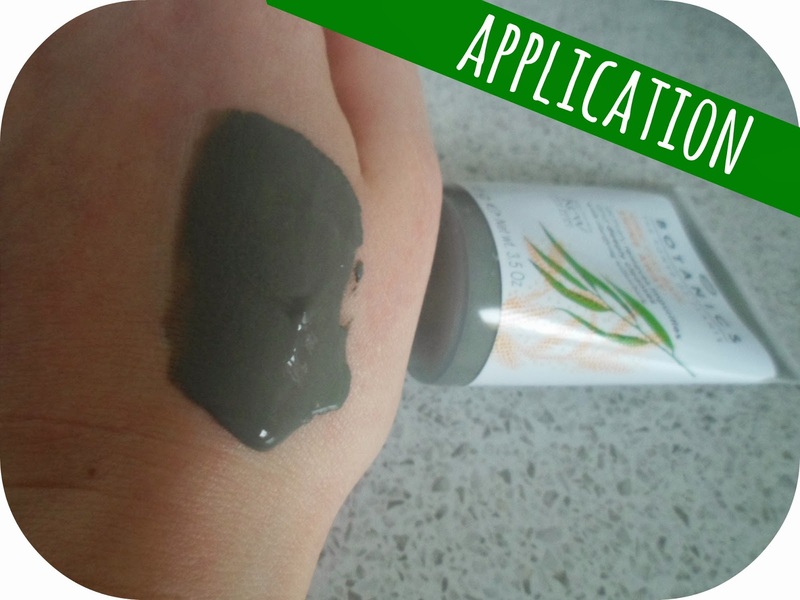 one of my favourite clay masks, I love when it dries and your face feels like Sharon Osbourne's! This clay mask sounds great!